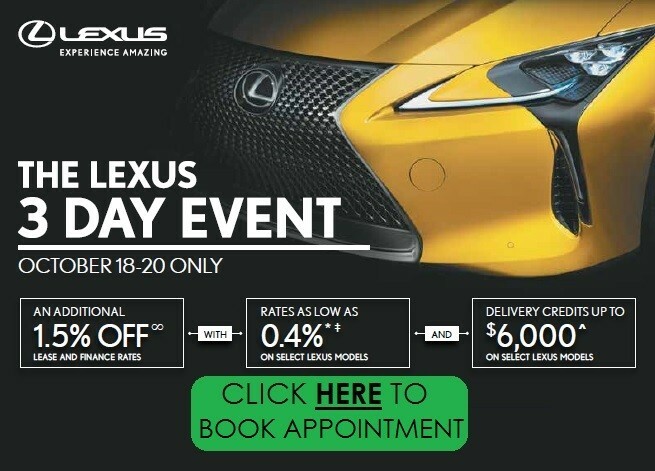 TORONTO, ON – November 15, 2018 – Enjoy all the style and luxury of Canada’s most popular Lexus, plus the added luxury of added space: The boldly designed Lexus RX L series combines brave design, an elegant interior, agile handling, exceptional performance and inspired technology to create a mix-size SUV that’s long on versatility. The RX L series channels the same aura of rock-solid stability as the two-row RX, while the flowing roofline minimizes drag, reduces cabin noise, and enhances stability at high speeds. Exterior details of note include a power moon roof, roof-mounted rear spoiler, alloy wheels, power adjustable and heated exterior mirrors with integrated signal lamps, aluminum roof rails, and full LED lighting – including headlamps, high beams, fog lamps, daytime running lights and stop lamp. A full 110mm (4.3”) longer than the RX series, the RX L also features a steeply angled tailgate window to ensure ample headroom for third-row occupants. Inside, the RX L welcomes guests to a luxurious cabin. The RX 350L offers room for up to seven adults, with a second-row bench seat that tilts and slides with the touch of a lever, plus a 60/40 split folding third-row seat. 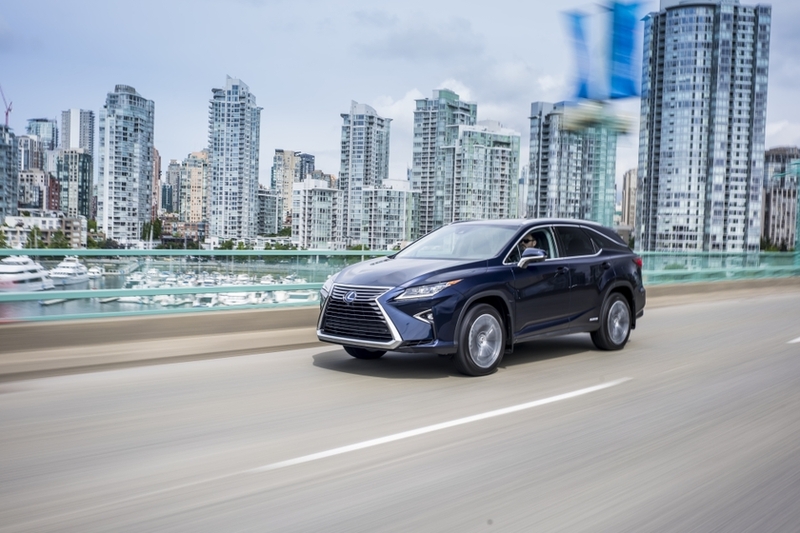 The RX 350L’s available upgrade packages, as well as the self-charging hybrid RX 450L, offer even greater luxury with room for six adults, thanks to second-row captain’s seats that offer walk-in convenience plus a 50/50 split power-folding third row seat. To maximize the foot room available to passengers in the back, the second-row seats are position slightly higher than the third-row seats. Meantime, when carrying cargo, the fold-flat floor behind the third row offers exceptional versatility. Regardless of seating configuration, the RX L’s interior is a study in comfort and craftsmanship. Features of note include a heated steering wheel, heated and ventilated power adjustable front row seats and many elegant trim options. All models include a media centre built around a Display Audio system with USB inputs, the Auto Sound Levelizer system, integrated Sirius XM Satellite Radio, Bluetooth® connectivity and steering wheel-mounted controls. 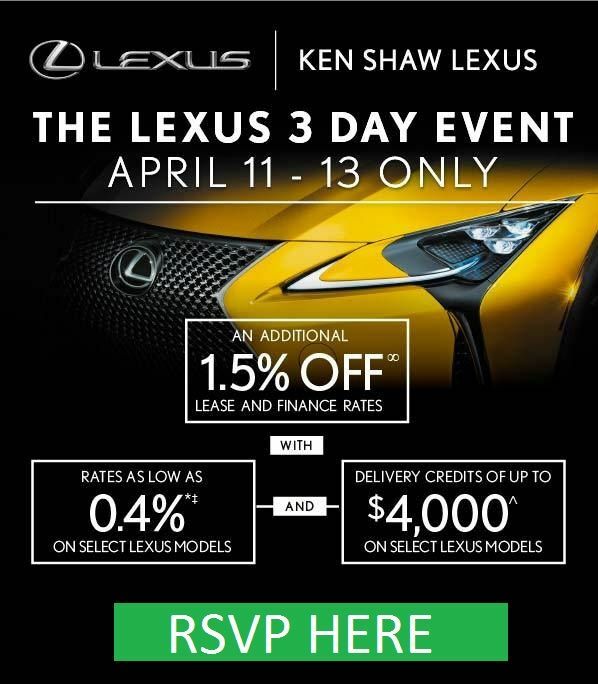 Drivers will appreciate the many convenience and technology features – from the multi-information display, a voice-activated navigation system with a 12.3” display and Lexus Remote Touch interface, to the heated steering wheel and leather-wrapped shift knob, to the rain-sensing wipers and headlamp washers. Additional comfort and convenience amenities include dual-zone automatic climate control, power windows with auto up/down function for all windows, the Smart Key System with Push Button Start, 12v auxiliary power outlets for personal electronics, plenty of thoughtful in-cabin storage and lighting, and more. Every 2019 RX L also delivers impressive performance, with a choice of two powertrains. The RX 350 L features a 290 HP 3.5L V6, coupled to a 8-speed automatic with sequential shift mode and lock-up torque converter. Meantime, the RX 450hL is built around a self-charging Lexus Hybrid Drive. This system uses an Atkinson cycle 3.5L V6 and high torque electric motor to deliver 308 net horsepower through a continuously variable transmission. 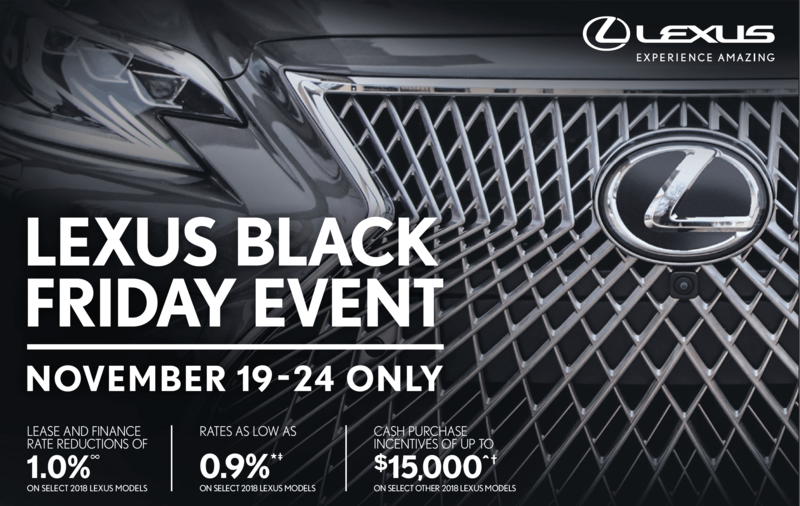 All gas models feature the Lexus Active Torque all-wheel-drive system, which delivers the traction that only an AWD powertrain can provide, while featuring the ability to distribute torque between the front and rear wheels to maximize fuel efficiency. All models also feature the Drive Mode Select system, with three distinct modes – Normal, Eco, and Sport S – to match the RX L to the driver’s mood and the terrain. As a Lexus, the 2019 RX L also offers drivers and passengers peace of mind through a comprehensive safety package – starting with Lexus Safety System +. This bundle of active safety technologies (pre-collision system with pedestrian detection, lane departure alert with lane keep assist, dynamic radar cruise control, and automatic high beam system) is now standard equipment on 98% of all new models Lexus offers in Canada. LSS+ supports the driver’s awareness and decision-making under a variety of traffic conditions and contingencies. Other standard safety features include the Blind Spot Monitor with Rear Cross Traffic Alert, whiplash injury-lessening front seats, clearance and backup sensors, a backup camera, 10 airbags, a direct tire pressure monitoring system, anti-theft system and more. There’s even an onboard first-aid kit. The 2019 Lexus RX 350L Luxury 6 Package (starting MSRP: $67,050) replaces the second-row bench seat with captain’s seats, and adds a 1587 kg (3500 lb) towing capacity. The 2019 Lexus RX 350L Executive Package (starting MSRP: $72,300) builds on this, adding a wood grain and leather-wrapped steering wheel, automatic air recirculation control system, a 15-speaker Mark Levinson Surround Sound audio system, touch-free power back door, Qi Wireless Charging system for personal electronics, premium leather seat surfaces, and more. For 2019, the self-charging hybrid 2019 Lexus RX 450hL Executive 6 Passenger (starting MSRP: $77,600) is offered as a single, fully-equipped model – featuring a 15-speaker Mark Levinson Surround Sound audio system, perforated premium leather seating, a head-up display, the panoramic view monitor, wood steering wheel, hands-free power rear door with jam protection, integrated garage door opener, the Qi Wireless Charging system for personal electronics, 20” alloy wheels, door handle touch sensors, premium LED headlamps and rear combination lamps, and more.